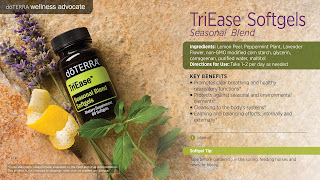 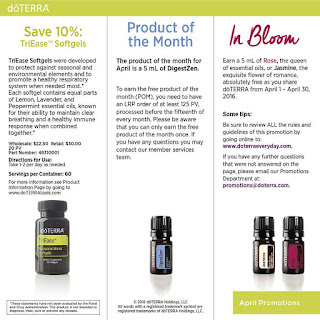 Promo #1: Save 10% on doTERRA TriEase! TriEase helps you through changing seasons by protecting against environmental threats. Promo #2: Product of the Month: Current wholesale members earn a free 5ml bottle of DigestZen with your 125pv LRP order placed between March 1-15. 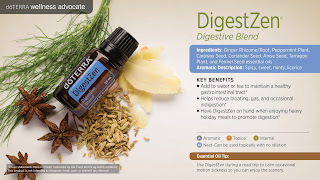 DigestZen® helps reduce bloating, gas, and occasional indigestion. Promo #3: Current wholesale members earn a FREE 5mL bottle of Rose or Jasmine by enrolling new members from April 1 - 30, 2016! 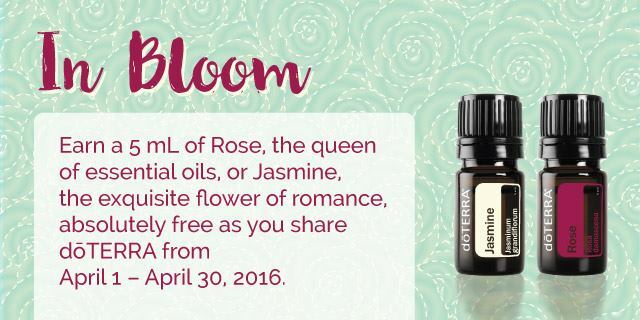 For all the details, click here.